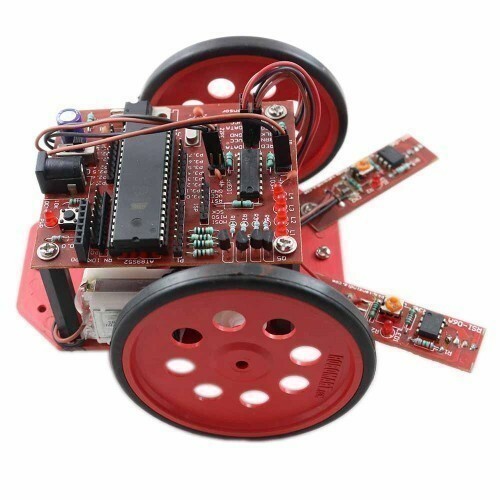 AT89S52 IBOT Mini V2.0 is a multipurpose robotics kit. 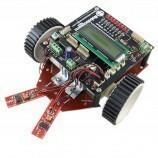 It's multipurpose and very durable nature helps in acquiring expertise on basics of robotics. 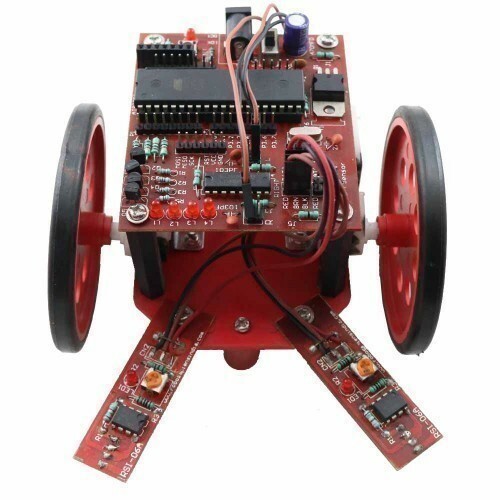 Development Board is made from single sided PTH PCB board to provide extra strength to the connector joints for increased reliability. Board can work on 7V to 15V DC supply. 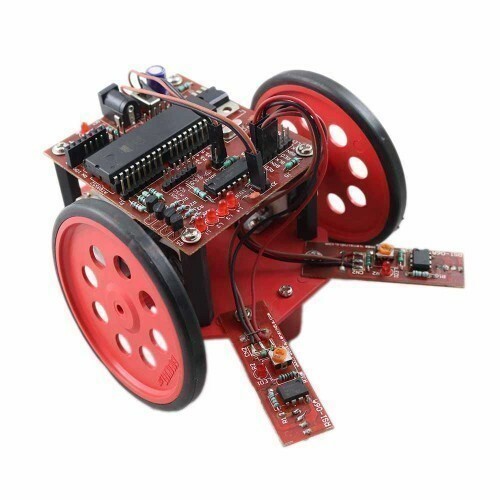 The control circuit or the development board is a versatile robotic development board that is being used to control this robot. The robot has been made visually interactive as there is 4 Bit LEDs to monitor the outputs of the I / O ports. The control circuit is fabricated in a way so that a user interface any kind of peripheral desirable and the control circuit supports Digital, Analog and Serial devices. The robot is basically using one motor driver circuit which is on board for its locomotion. The motor driver circuit used, in takes digital inputs to make motors running. Since, the input type for the motor driver circuit is digital one hence, locomotion can easily be done by simply providing digital input to the driver circuit. It has built-in reverse polarity protection. Open pads for connecting microcontroller's pins to external devices are also provided. 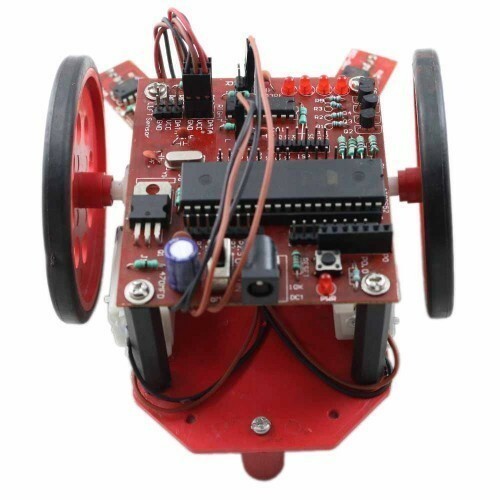 The robot can be used to develop more than 20 projects using different advanced peripherals. 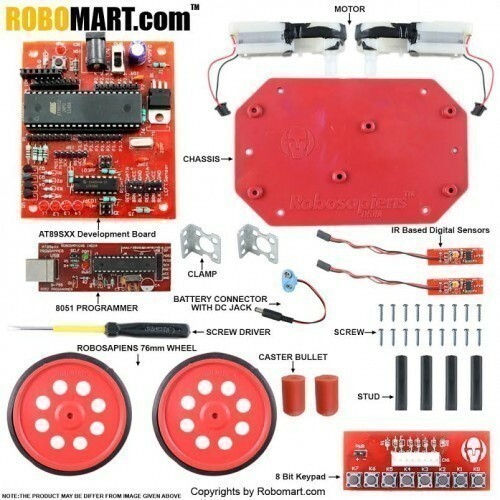 The robot comes with two IR based Digital proximity Sensor that is used as a obstacle sensor. The sensor that is being used is highly flexible and versatile. The sensors can be used as an edge sensor , line sensor , color sensor (black / white) , light sensor etc. 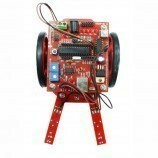 The robot is not limited to only digital sensors but also compatible with other analog sensors and different converters. 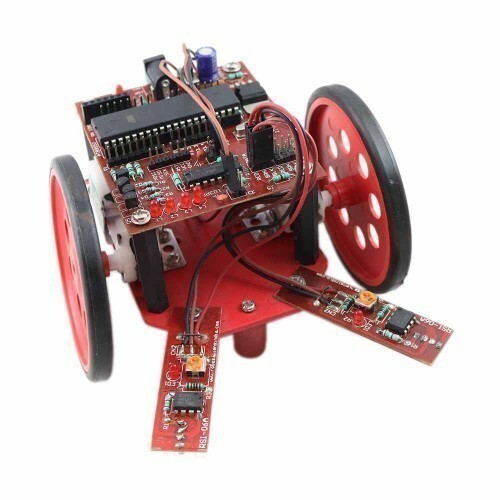 The robot is best suited for hobbists and Engineering / Diploma Projects.